Why the Déjà vu? How did this came about? At the moment, Malaysia's talk of the country is about the "Bersih 2.0 Rally". I read today that their Prime Minister said the government would not object if the organiser would assemble in a stadium from morning to night and later leave peacefully. 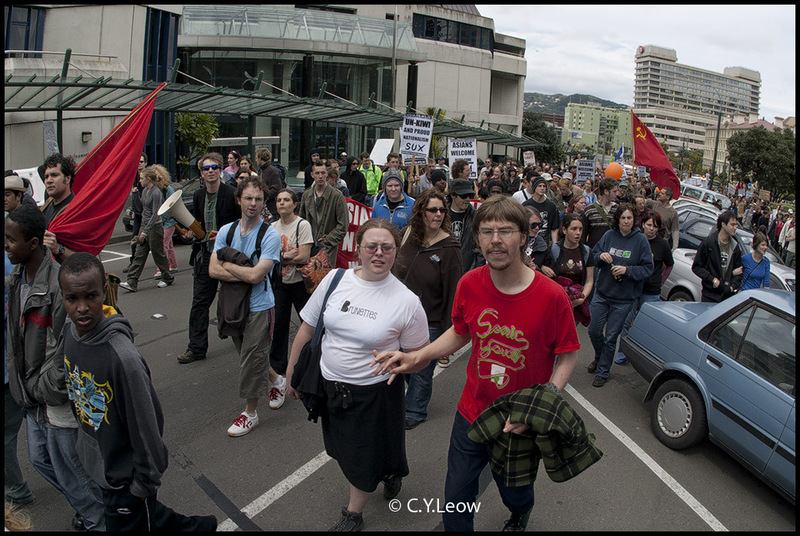 My Malaysian friends asked me if I have been to a rally in Wellington, I remember the last one I went to was in 2004! Racism in "Godzone"? You better believe it! So much so that the huge ethics groups said "Enough Is Enough!" 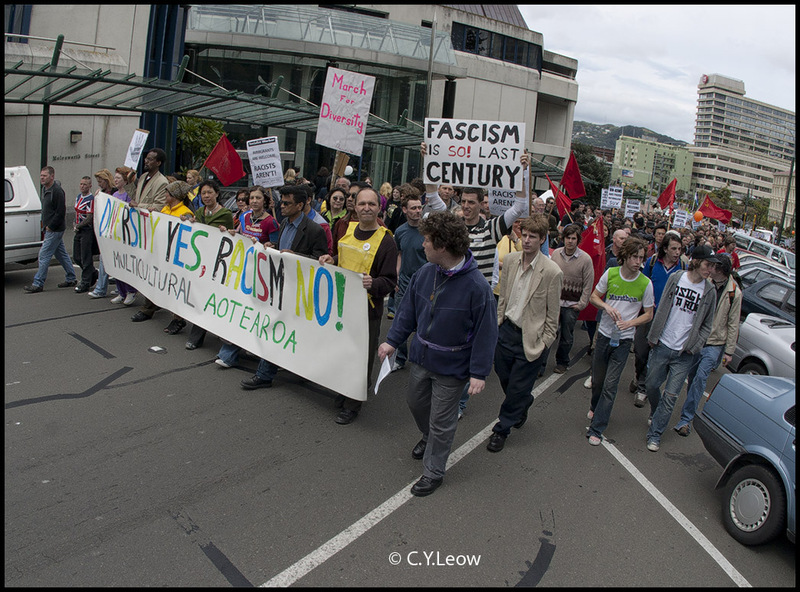 and they held an anti racism march through the streets of Wellington today. To understand how all this came about, go and read March against racism in Scoop. I thought to myself that this will be a good chance to practice my documentary photography, after all; the last time I attended a news event was YEARS ago! 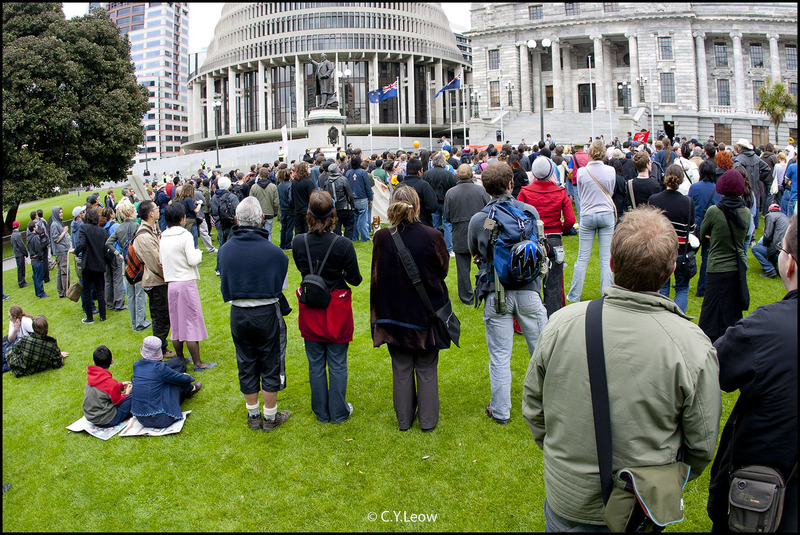 My wife and me reached the "Beehive" (our parliamentary building) ground at noon. The National Front members are already there. 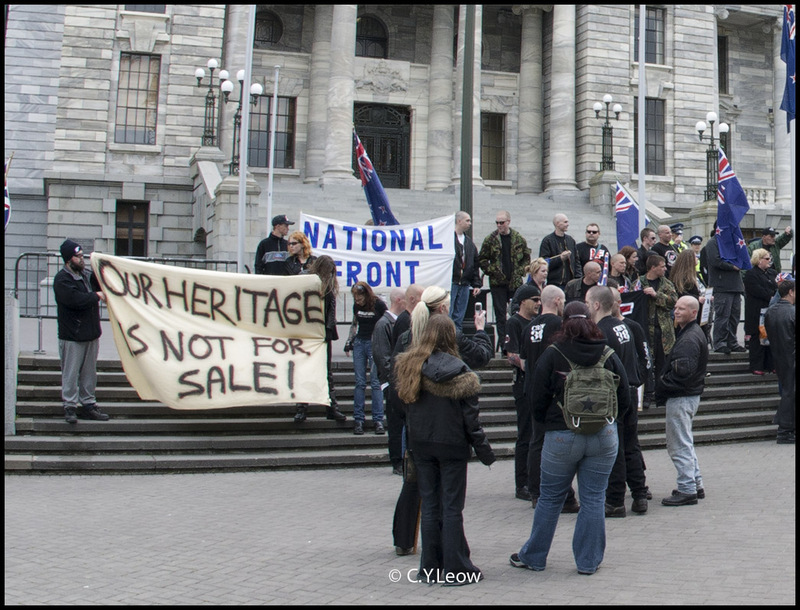 The National Front members on the Parliament steps. 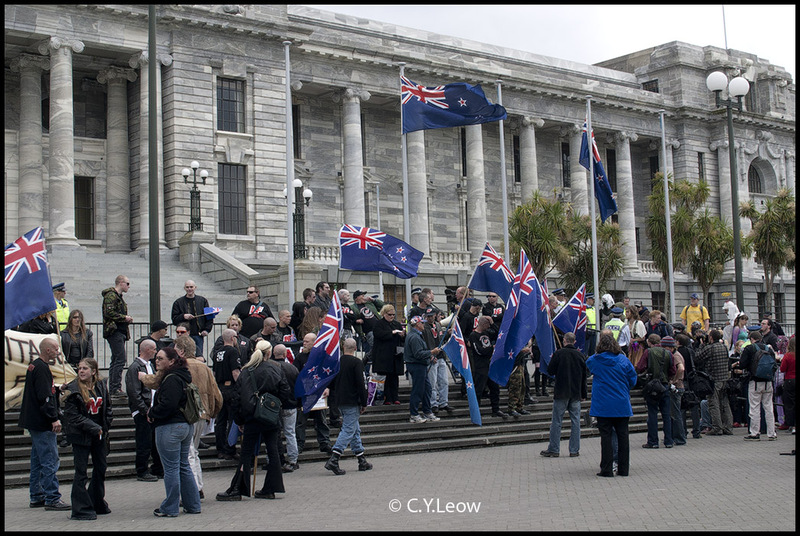 A Front member walk over and handed me a leaflet and said, "We are defending the New Zealand flag, we are not against anybody." The antics of the Rockers much to the amusement of the police. 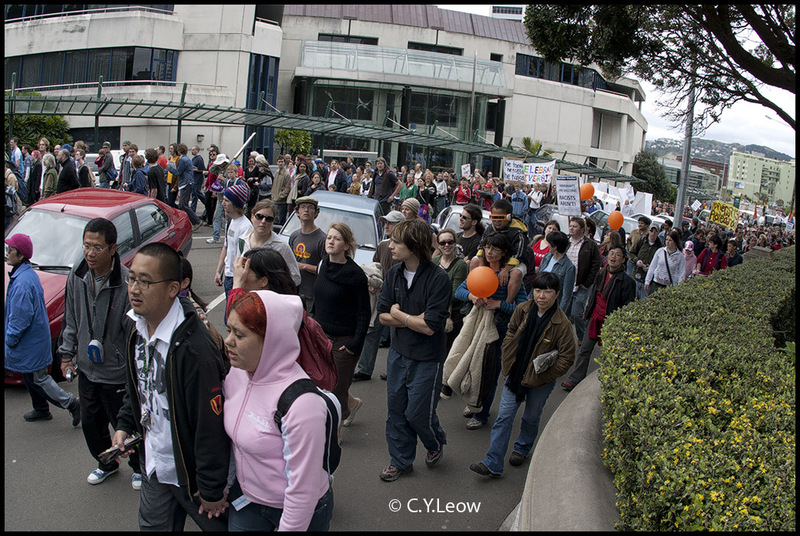 The Anti Racism march supporters marching towards the Beehive, notice the different ethnicity? 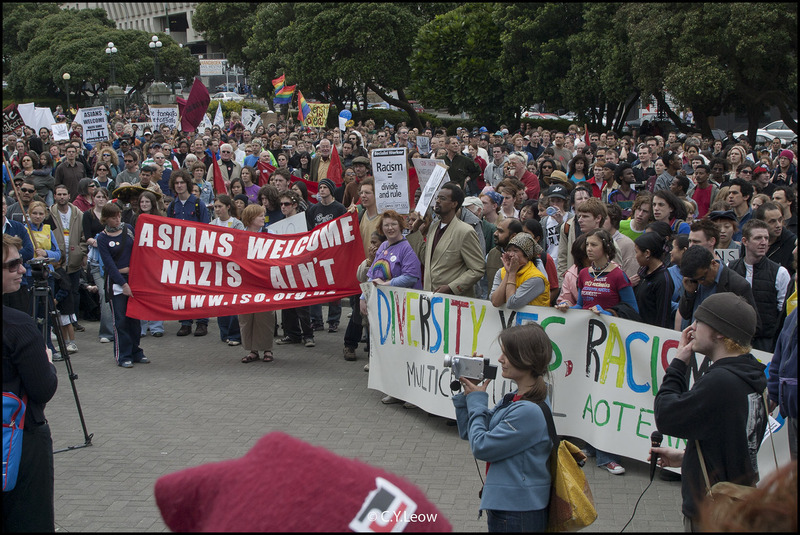 I think they have make it clear that RACISM ARE NOT WELCOME IN NEW ZEALAND! This is DEMOCRATIC PROCESS at its best! Anti Racism march supporters in front of the Parliament building. 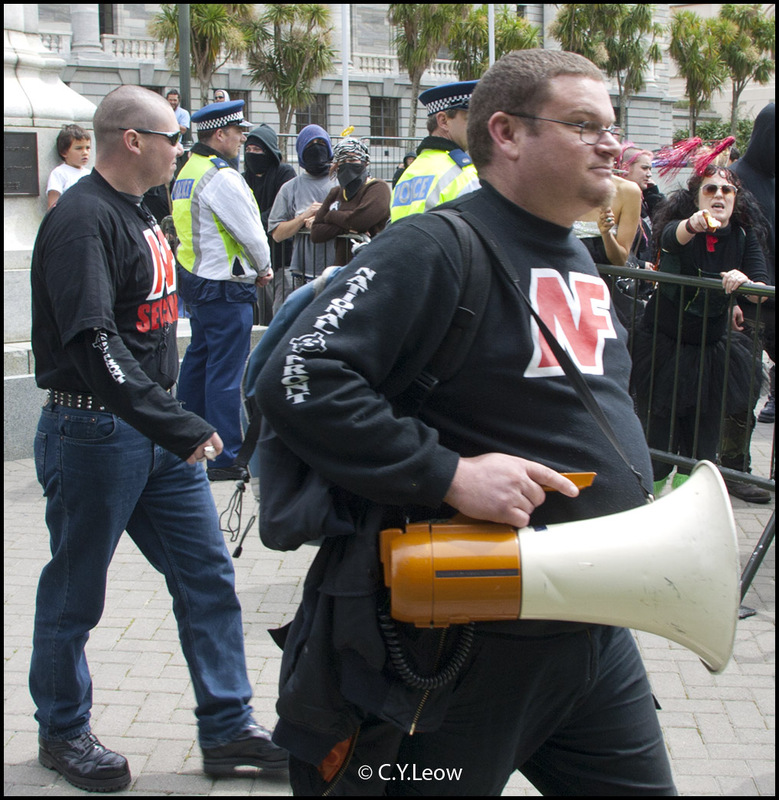 National Front leader Kyle Chapman (with megaphone) leaving the Cenotaph while the Rocker yelled. 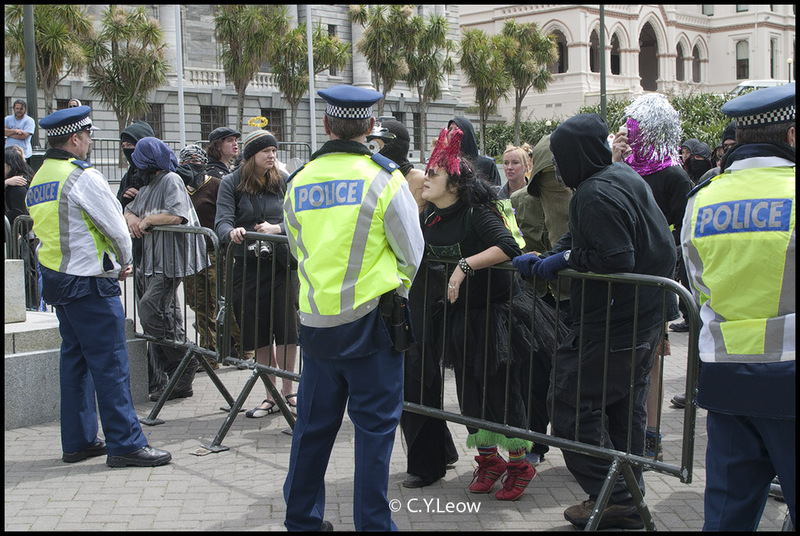 All in all the protest was peaceful and there is even a sense of festive mood in the cold Wellington wind... what with the dancing and frolicking by the Rocker Group! At 1.30 pm the National Front dispersed and heads for the railway station, the Rocker Group follows, yelling abuses and trying their best to stir up the Front members! 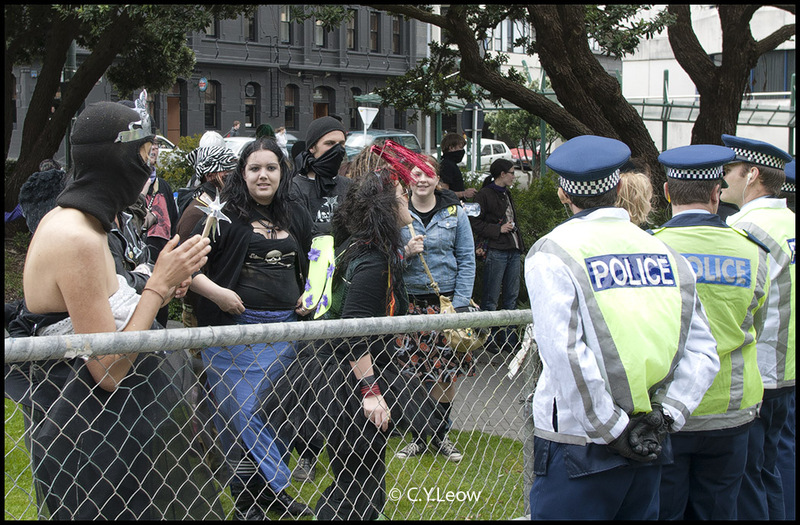 I learned later that there was some "action" between the two groups and three people were arrested by the police.